"One evening . . . I was standing on Thatcher's Main Street, waiting for the jitney bus, when Spencer Kimball came along. He introduced himself and . . . we sat together on the bus and discussed Shakespeare and similar highbrow subjects, each hoping to impress the other." It's an age-old story: boy meets girl, love blossoms, and they live happily ever after. Nowhere is this timeless tale more beautifully depicted than in the lives of the Presidents of The Church of Jesus Christ of Latter-day Saints. 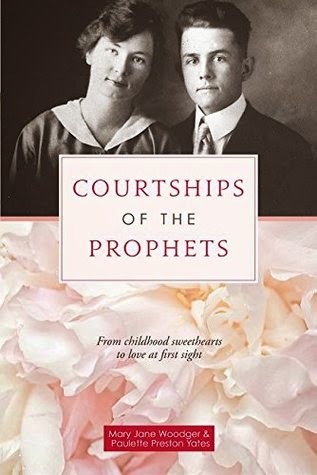 Courtships of the Prophets allows readers a captivating look into some of the most cherished memories of the prophets the earliest moments of romances that endured a lifetime. From the sweet recollections of first encounters to the tender love letters of youth, this volume portrays the histories of some of our latter-day prophets as never before in a heartwarming collection of reminiscences that truly evokes the magic of happy endings.